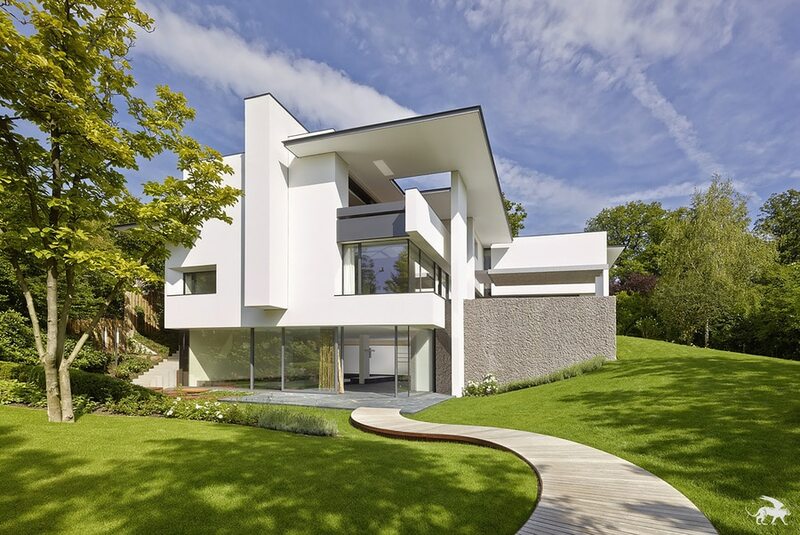 Alexander Brenner Architekten designed the SU House for a lover of art and her family. With its open design and flowing floorplan, the residence is a living gallery that perfectly highlights the owner’s extensive art collection. 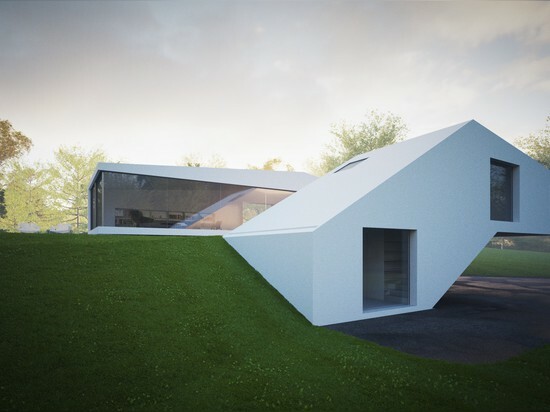 The terrace can be open or closed thanks to removable walls, turning it into an extension of the living room. 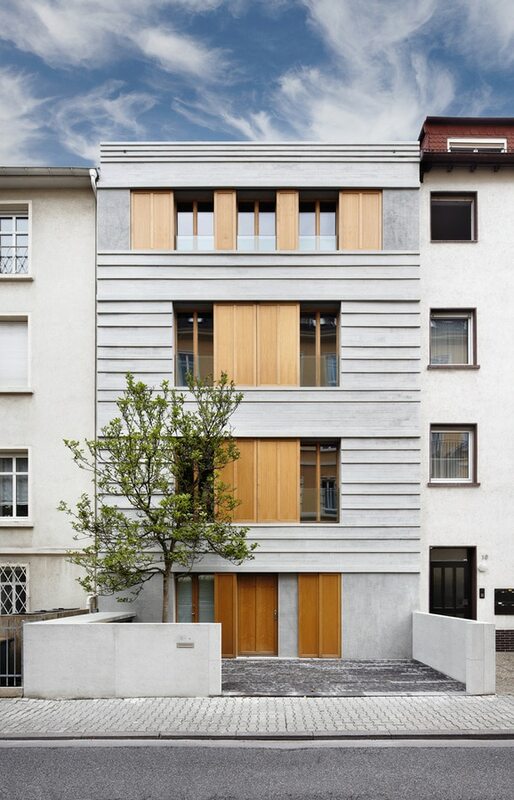 For this mid-19th century abode in Frankfurt, the architects at Güth & Braun Architekten and DYNAMO Studio wanted to restore a harmony between old and new, rather than accentuate the contrast. A contemporary interior design was created to complement the traditional elements of the abode. 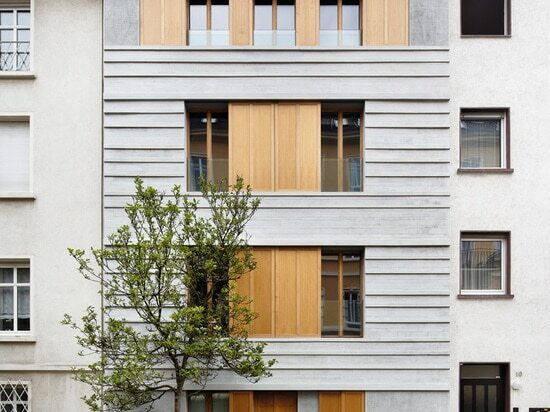 With the exception of the bedrooms contained within concrete pods, Townhouse B14 is completely open from top to bottom. The architects at XTH-berlin took full advantage of the building’s 12-meter height to create a space with ample natural light and a playful flow. 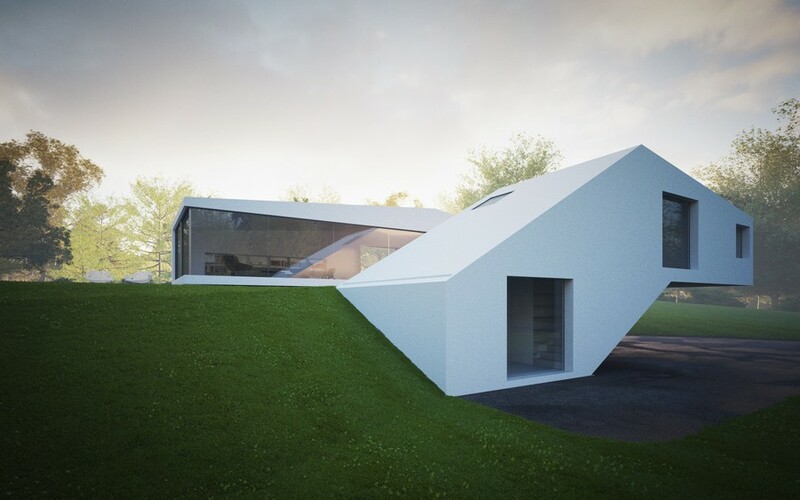 Located near Stuttgart, the Ols House is perched on a hillside with a fantastic view. The clients wanted to take full advantage of the panorama, so the architects at J. Mayer H. Architects created a home with full-height glazing that perfectly frames the surroundings. The house is characterized by soft folds and rounded corners that are direct contrast to the surrounding traditional 1960s homes. 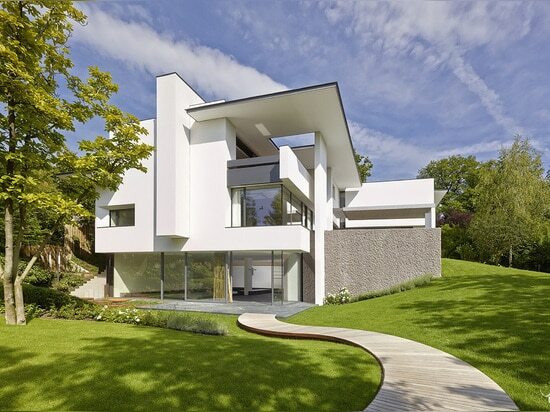 House Hafner is at the end of a blind alley that faces the woods and the valley, so it is afforded a natural privacy. Therefore, Peter Thomas Hornung and Elsa Katharina Jacobi of Hornung & Jacobi were able to create an entirely open living space without compromising the intimacy of the occupants. Despite its location in a solidly urban setting with neighbors on each side, the Devoto House in Devoto, Argentina, is a haven of peace and privacy for its occupants. REMY Arquitectos created a house that offers privacy where necessary, but remains open to the exterior. 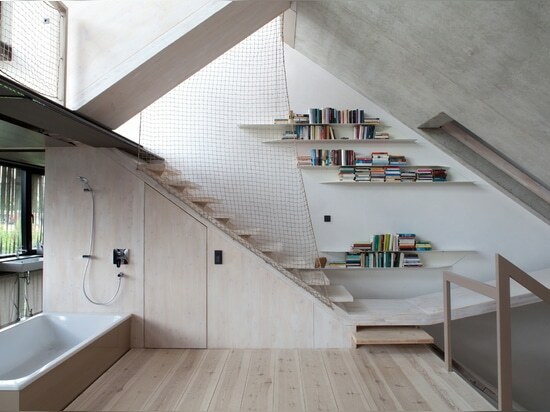 But the best part is probably the elevated swimming pool with a glass wall. The Carassale House was built for a family with three small children that frequently welcomes guests, so accommodation was key. The bedrooms were designed as small cabins, adjacent to a bigger living space. Conscious of the surrounding environment, the architects chose a location that would make minimal impact, while creating a direct relationship with the exterior in every room of the house. Sunlight and an awesome view were the main elements motivating the design of Wanka House by Galera Estudio. Located in the coastal city of Cariló, Argentina, the house faces the sea in one direction and the forest in the other. The lower level is dedicated to living and creates a seamless exchange between interior and exterior, while the upper level is dedicated to leisure, taking full advantage of the views. Despite its stony exterior, the Bunker House in Buenos Aires is a void waiting to be filled with life. 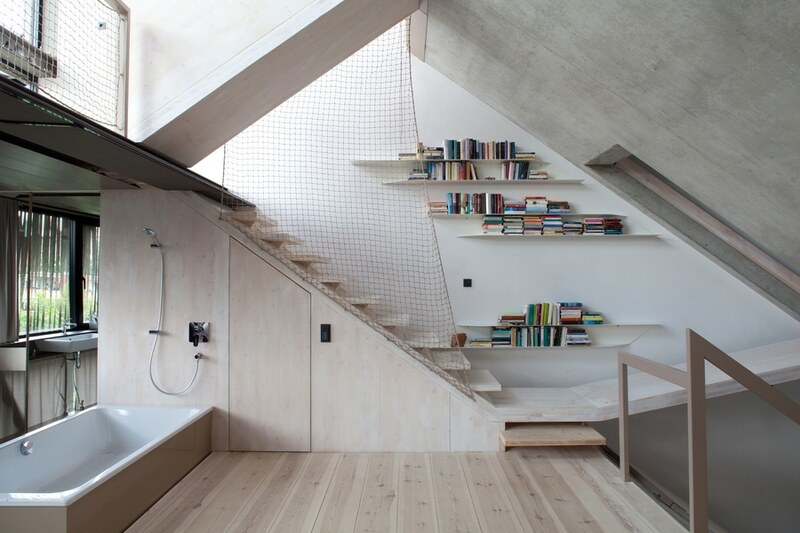 The concrete walls are simply an outline for what takes place within. A pool runs almost the entire length of the lot, from interior to exterior, creating a connection between the inhabitants and a source of life – or perhaps just a quiet mirror of life. 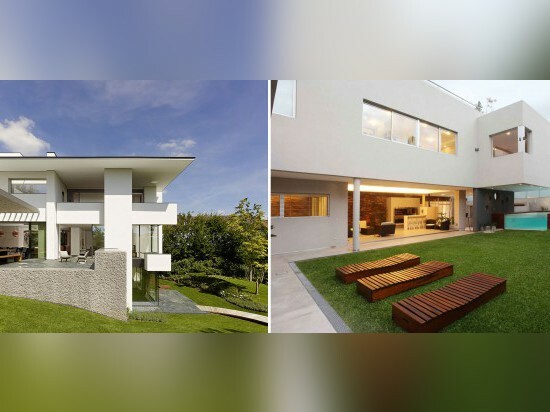 Inspired by principle that form follows function, the Pilar House by Vanguarda Architects uses pure and simple lines to create an exceptionally functional space that is also aesthetically pleasing. The lower level contains the living space and is completely open on the large yard, while the second floor contains the bedrooms and affords more privacy. A large cantilever creates the perfect exterior space that is slightly protected, while adding visual intrigue.